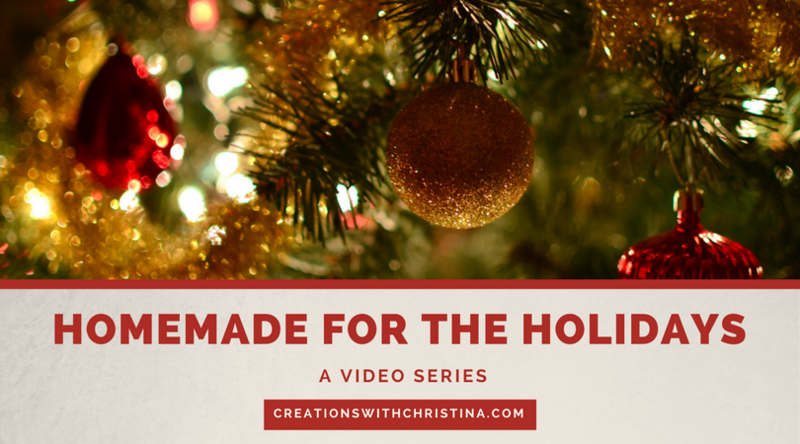 Today we're starting a new video series called "Homemade For The Holidays". Every year I make some sort of gift for a family member and this year I thought I share those ideas with you. I've made gift card holders, treats for my niece and nephews, and even a hand scrub for my fellow co-workers. I love the feeling of giving and handmade makes it even more fun. Our first video is making holiday cards. 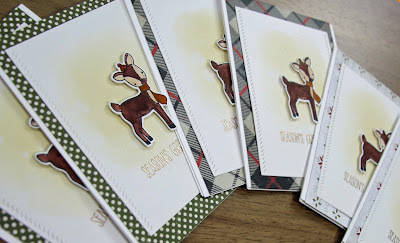 The past few years I've been making a few batches of holiday cards to take to work and send out to other departments and library's. Here is the first set for this year. A few more photos to share of the finished cards. 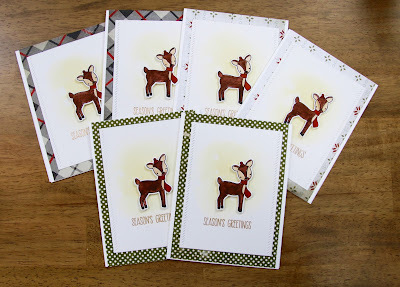 Here are the supplies I used to make todays card. Your cards are super cute. 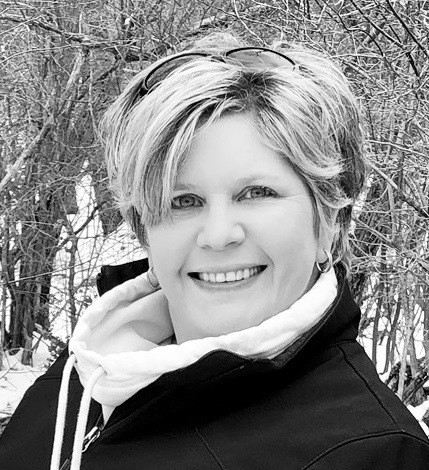 I make about 75 cards and then the "specials" for my children and grandchildren. I know, crazy, right? So 15 cards into the regular cards I said, are you nuts? Revised to an A2 card size instead of 5 x 7, stamped and colored, ran them through my copier. Now they're blah. 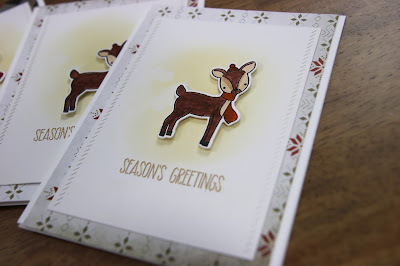 Ran each card front through an embossing folder that just puts ornaments, stars, on the sizes. Better. Got out the Glossy Accents and Wink of Stella - better yet. Now I'm putting a halo of yellow around the top of the lamp post. Two weeks into these cards and I'm almost done. Next year I'm making your adorable deer!